A Tribute to Marty Robbins and Classic Country Stars the Little Opry Theatre offers a performance and musical tribute to the career of Marty Robbins, an accomplished country singer, who has had many singles and albums. Many of his songs became number one on the hit charts and are still being sung decades after his death in 1982. He was inducted into the Nashville Songwriters Hall of Fame in 1975 and has a star on the Hollywood Walk of Fame. Leroy New leads the New's Country band and these talented artists bring Marty Robbins' engaging persona to life capturing his sound, mannerisms, and appearance. Popular for songs such as El Paso and its sequels San Angelo, Feleena and El Paso City, and you'll hear most, if not all, of these songs and others within the performance. 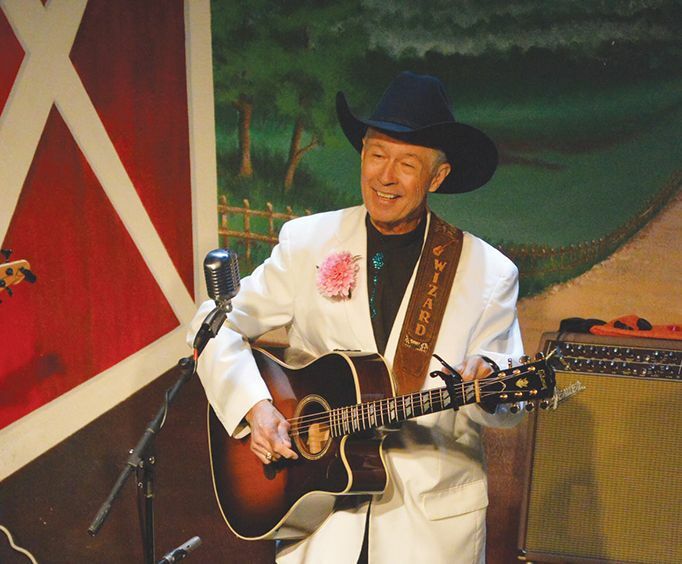 Pay close attention as this grand show takes you from one star to the next as actors and musicians recreate timeless music from legends of country music like Chet Atkins and Hank Williams. What is included in the admission price for A Tribute to Marty Robbins and Classic Country Stars? Approximately how long is the A Tribute to Marty Robbins and Classic Country Stars? We loved the show. The best we saw while in branson - a wonderful tribute to marty robbins! The guitar playing was fabulous but we were sitting on the front row and still had difficulty understanding the performers.